By some weird happenstance, the micro-budgeted horror film The Invoking (2013) and the mainstream studio release Texas Chainsaw 3-D (2013) share a premise. In both productions, a young woman inherits a house from a dead relative and in the process of exploring that “home” re-discovers a dark family past. Amazingly, while Texas Chainsaw 3-D utterly botches this scenario (tripping over its own chronology and the date of the original Chainsaw “events” in the process), The Invoking handles the subject matter masterfully, relying on subtlety, sturdy performances, and a slow-dawning vibe of horror and suspense. It’s not often that a small, independent film totally laps a big, 3-D franchise film, but that’s precisely what occurs here. Texas Chainsaw 3-D is likely the dumbest horror movie in a while (at least since Shark Night…), while The Invoking veritably demands engagement. It’s a cerebral horror film -- and still on the Festival circuit as of this writing -- and a very good one at that. In The Invoking, written by Berg, Matt Medisch, and John Portanova, a young woman named Sam (Trin Miller) learns that she has inherited a house from an aunt she has all but forgotten about. 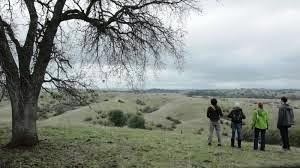 Along with her friends -- Mark (Brandon Anthony), Caitlin (Andi Norris) and Roman (Josh Truax) -- Sam embarks on a road trip to visit the property, which is located at a remote rural spot near Sader Ridge. When the group arrives at the run-down house, it meets Eric (Midili), the grounds-keeper, who remembers playing with Sam when she was a little girl. Sam has almost no memory of Eric at all, or the events about which he speaks. The others don’t trust Eric, but are distracted by their own personal issues as well. Mark, Sam’s former boyfriend, is interested in Caitlin, and Roman is jealous. Meanwhile, Sam keeps hearing strange prayers emanating from the bedroom, and she wakes up with cigarette burns on her body. Later, Eric, a war veteran, offers to take the four friends to see Sader Ridge. 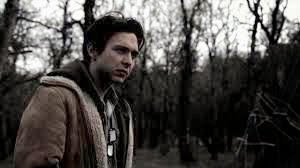 But on the way into the woods, Mark disappears, and day slips into darkest night. The key to The Invoking’s artistic success rests not merely in the better-than-average performances (particularly that of D’Angelo Midili, as a fellow named Eric), but upon the film’s almost entirely unique central conceit. Specifically, the movie from director Jeremy Berg indicates something strongly supernatural in some sense, right down to its choice of title. An “invoking,” after all is the summoning of a spirit by means of charm or incantation. Appropriately, an invoking of a type occurs in the film -- through the memories spawned by the house, by words spoken in a creepy prayer, and also by the words of one character, in particular. Yet the “monster” and central threat that emerge from this invoking are not at all what one expects, but rather a very different kind of human menace; one with roots in psychology, and child abuse. This notion works distinctly in the movie’s favor, and not only that, makes The Invoking a compelling exercise in Freudian Theory. In broad terms, the film is about “the return of the repressed,” to co-opt an oft-repeated phrase. The past re-asserts itself in the present in The Invoking, and at times, the two eras seem to blend, with characters taking on more than one personality. The Invoking eschews a lot of the modern bells and whistles of the horror film -- namely elaborate special effects and overt violence -- to focus on little things that have a big impact. One example is a simple scene, set at dusk. Night is falling. Sam and her group are walking out in the woods, trying to find their way back home. Suddenly, a figure appears in the darkness, at some distance, walking zombie-like…on some apparently unknown agenda. Who is it? What is he doing there? We don’t know precisely, and the scene carries an electric charge of uncertainty. The film boasts a number of good moments like that, where something simple -- like the presence of a stranger where no stranger should be -- is harnessed effectively to create a mood of dread and terror. 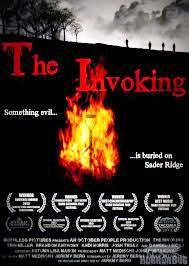 Perhaps even more impressively, The Invoking doesn’t tread in the shallow land of clichés or easy answers. There’s one “broken” character in the film that, despite every action taken, remains immensely sympathetic. This character has a moment where a decision to commit murder is forged. The act is undertaken decisively and effectively, though not enthusiastically, and the violence carries a horrifying atmosphere of realism. We are shocked at the scene, but not quite as shocked as the victim is. As I’ve noted above, The Invoking is a micro-budgeted film -- shot down and dirty in seven days, if I understand correctly -- and yet the cinematography is astoundingly precise and attractive. 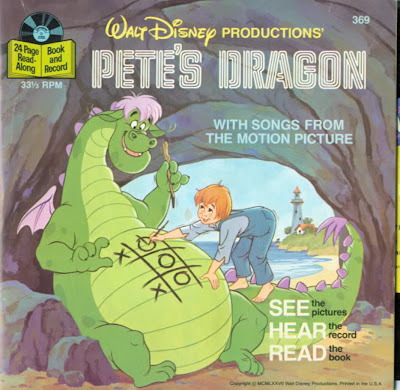 The soundtrack also underlines the action brilliantly. If the film boasts any flaw it is that the ending feels too abrupt, a little too ambiguous, especially when the audience has become so invested in the characters and their plight. I suppose it is better to be left wanting more than feeling that a movie outstayed its welcome, but still, The Invoking calls up such a mesmerizing spell that it isn’t easy disassociating from it as the end credits roll. Of course, that may be the point, in some sense. Sam returns to the home of her father and grandfather there at Sader Ridge, and the memories come rushing back, re-shaping her present… the past spilling dangerously into the present. I was sold after you described this film as cerebral. Sounds like a must-see.